 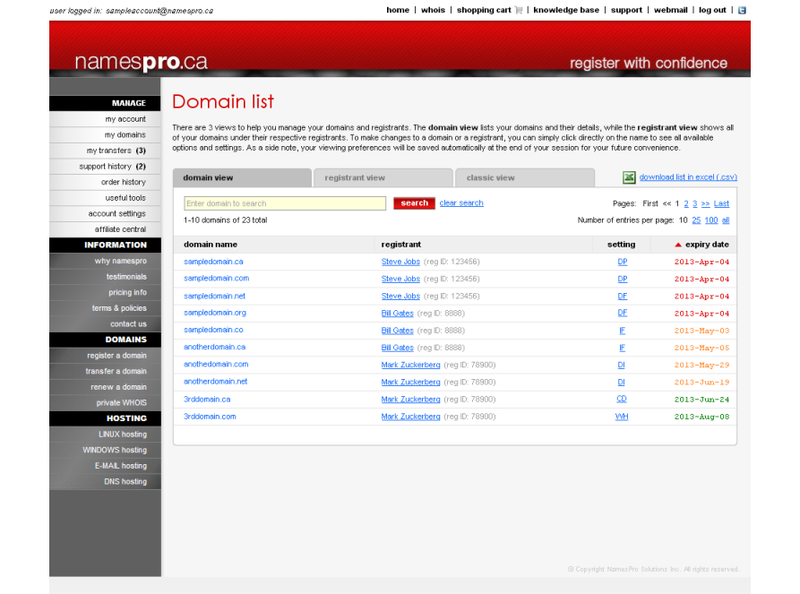 By domain Please enter a domain name below and click "reset password". 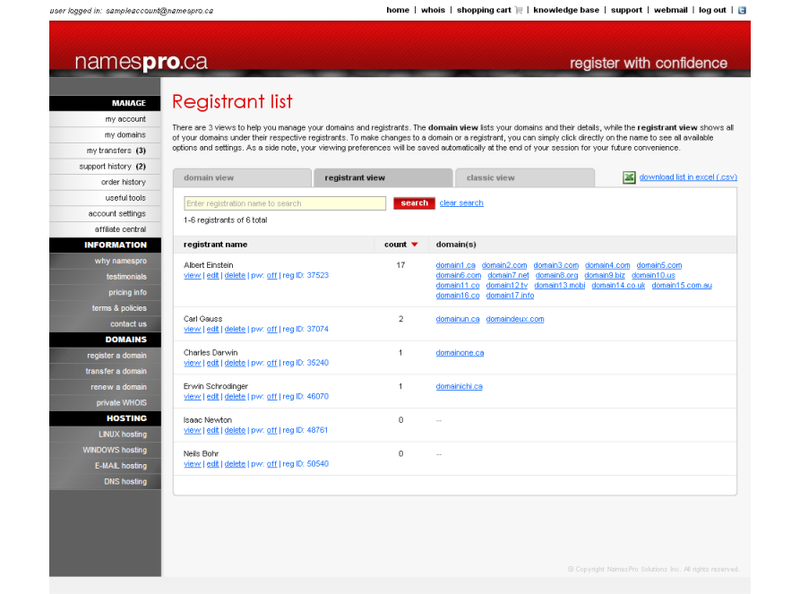 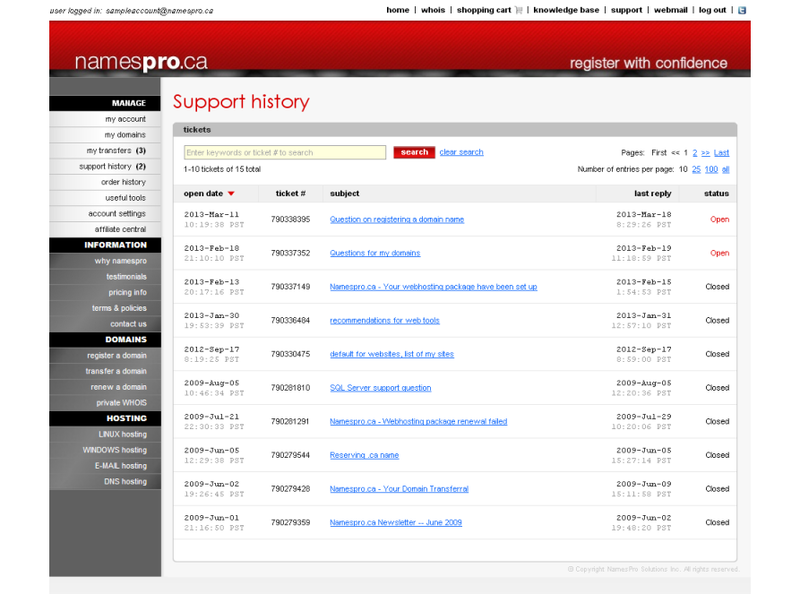 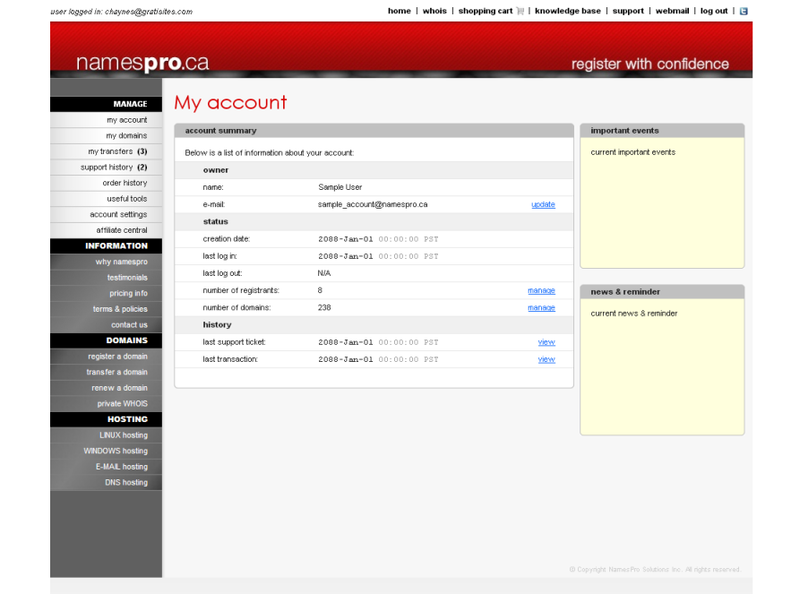 A link to choose a new password will be sent to the e-mail address of the corresponding Namespro.ca account. 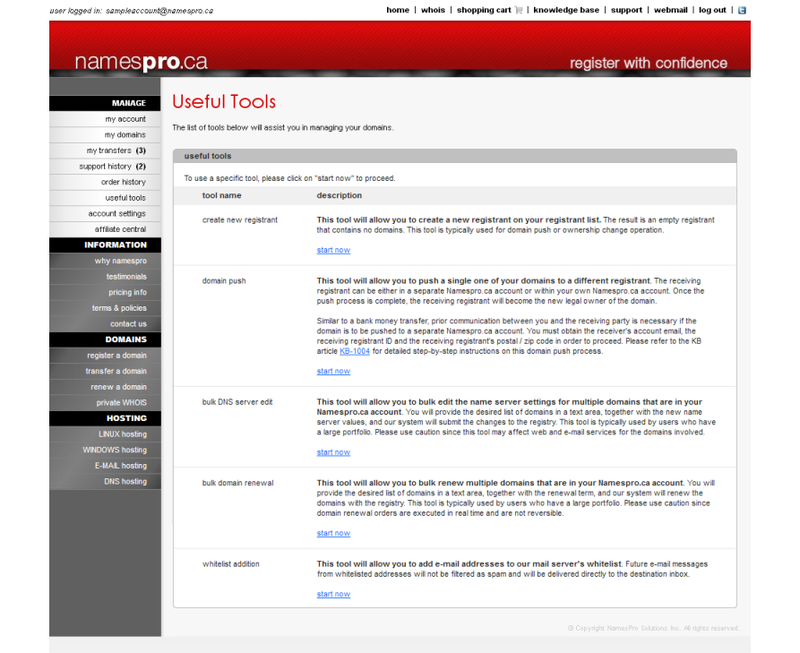 By e-mail Please enter the e-mail address associated with the Namespro.ca account whose password you would like reset and click "reset password". A link to choose a new password will be sent to the same location.